Church Reordering. What Progress are we Making? The last four years have been a journey of discovery for the reordering group of Malcolm, Niels, Mike and Richard. We have kept you informed of our thoughts and investigations, and at the end of 2016, finalised a plan which we are confident will obtain a Faculty, and will not by vetoed by any of the Statutory Authorities. The Faculty is the Diocesan equivalent of planning permission and is a legal requirement. We submitted this plan to the PCC in November 2016, and we were pleased that they approved it. Historical Context. Simon Everett recognised that there were many and varied ways of worshiping God, and that our church did not lend itself to many of them, because it was too packed with pews and for much of the year very cold. These initial views were echoed by responses from the village in the Parish Council survey of 2013. Respondents asked that the church be made more flexible, and comfortable for village events, such as concerts and plays, which were too large for The Club or Abingdon Hall. For many events in church, such as funerals and weddings, people travel a long way, and a toilet is necessary for them, and for the comfort of everyone using the building. The installation of the toilet was completed in spring 2015. Why do we need more space in church? Three of the most important ceremonies of the Christian Faith are Baptisms, Marriages and Funerals. They are each social occasions of very different natures, but all are more fitting where there is space for the family group, and the setting of the ceremony is enhanced, by allowing the beautiful simple architecture to frame it. We have the most beautiful church, very largely as it was built in 12-14C, but because the Victorians were preoccupied with providing seats for the greatest number of people, there is not enough space to move around easily, thus preventing the beauty of the building from making maximum impact, and inhibiting full flexibility for varied styles of worship and community events. During 2017 we shall begin to raise the funds. There are several avenues which we intend to pursue, and we would be very pleased if you would help us, either by helping us fund-raise, or by, generously, contributing to the fund. Please give us a call and thank you in advance. We have two further steps to take before making our submission for a Faculty, and we aim to achieve these during 2017. They will require outline and then detailed plans from our Architect and Engineer, with a full description of the work involved and of the impact on the building. These will be submitted to the Diocesan Advisory Council. We will then have a chance to respond to their comments before submitting our final application for a Faculty to the Chancellor. Articles in the following months will explore proposals for the several areas of the church in more detail, together with historical information which we have found, which sheds light on the history of the building. Richard Hood, Malcolm Green, Niels Kraunsoe, Mike Deeming, David Parkhouse. The article in the February Valley Views set the scene for those in subsequent editions describing the main changes being proposed for the Church, already agreed by the PCC. Our Church Community. A church comprises two principal aspects: the building and the community which worships there. Our aim is to increase the number of the latter, and enable them to be more comfortable. The space should be more appropriate to contemporary forms of worship and warm enough for them to enjoy the experience. The core of the building dates from the 12C, but through the centuries the building has been added to and adapted as the needs of the communities have changed. The building has been conserved because there has been this slow process of change responding to the needs of the time. During our investigations we have uncovered some of the changes which have taken place during the last 150 years, and this history helps to understand the context of our proposals. Changes to the Style of Worship. Over the last century or so the styles of worship have gradually changed. Celebrations by the priests have been brought physically closer to the congregation, so that the congregation can participate more easily and more creatively. In our church the pews freeze the space, and make it very difficult to worship in other than a traditional way. The Church before 1880. In the course of our research we have found the plan of the church and pews prior to the changes of 1880. (Fig 1) The church looked very different. Much of the seating was in rectangular family pews, where people did not all face the altar. Each pew was reserved for a particular family. The vestry was at a high level in the SW corner, with steps leading to it from the entrance. The font does not appear on the plan, suggesting that it might have been in the base of the tower, or under the vestry. The pulpit was in its current position, but surrounded by pews. The Victorian Renovation. The description of the work to be done reads, ‘ – to take down and remove the existing gallery and the staircase leading thereto and the whole of the floors paving pews seats and fittings of the said church and Chancel and entirely refloor repave reseat and refit the same’ --. The Victorians removed everything which was in the church at that time, and replaced it. Their work is illustrated by the architects plan (Fig 2) and it is the seating which we have today. The font is in its current position, the N vestry was constructed in place of the gallery, and there are pews in the north transept, and chancel. The 1880 faculty document gives an insight into their motivation. This was to replace the family pews, each occupied only by one particular family, by open seating, all of which faced the altar, and all of which could be occupied by anyone. This was a time when the landowners and important families in the village required their households to join them for worship each week..
With fewer practising worshippers these days, we have the freedom to worship in different styles and also to offer the church for community uses which are not possible elsewhere in the village. These were not the only changes to the seating, There were more just 30 years later, and more recently, which we will describe in the next article, when we will also set out our ideas for seating and the rationale behind them. Mike Deeming, Malcolm Green, Richard Hood, Niels Kraunsoe, David Parkhouse. Fig. 2 Seating in the Church after the 1880 Reordering. The article in March outlined the way the Victorians removed the existing seating and replaced it with that which is now in the church. However, it is now not as they left it, and this article brings the history up to date, and outlines our proposals. The next major change was the building of the Wolverton Chapel in 1889, and the church was further altered in 1912, when the existing Reredos and East window were replaced. In 1912 the organ, which was then in the North Transept, was replaced by the present one in its high loft in the West end, and the space in the North Transept was filled with pews identical to those already there. This arrangement is shown in Fig 1, which also shows the chair stalls in the choir for the first time, and the pews in the Wolverton Chapel. Since 1912 there have been several further changes, to accommodate changing needs. Three pews were removed under the stained glass window in the north wall to accommodate the Crib and Easter Garden. The pews in the Wolverton Chapel were removed and were used to create the present chapel altar table, and to form panelling round the walls. The pews were all removed from the N chapel to make an area for children’s Sunday-school, and several pews were removed adjacent to the font, and from the west end of the Nave, to create some social space. There has thus been some easing of the congestion of the Victorian seating. Our objectives are to make the church more adaptable and more comfortable for important Christian Ceremonies and modern forms of worship, as well as for large village events. The pews are fixed to wooden side pieces, which also support the wooden floor. Below this is a void down to the earth. After 140 years many of the timber supports are substantially rotten, and would soon need to be replaced. The current heating system does not adequately heat the church in cold weather. Our Heating Engineer recommends that we install under-floor heating, which will keep the building at about 12oC and which will be supplemented by radiators placed round the walls when the building needs to be warmer. To allow space for the radiators to work efficiently, we propose to remove the pews in the side aisles. Weddings Currently this important Christian ceremony is hemmed in by the pews. There is little space for the Groom and Best Man to stand in front of the pulpit, and there is no space for the bride’s father on the north side. Removal of pews at the front of the nave will allow space for a more attractive setting. Meeting and Greeting and Social Space. We like to make people welcome as they arrive for a service, and there is little space adjacent to the door to meet people and welcome them. There is insufficient space at the west end of the building for coffee to be served after services, or for other social occasions, and we propose to remove pews to make adequate space for these events. The pews that would remain are shown by the hatched area in Fig 1. These three pews in the centre of the north and south nave would look very peculiar and isolated, and to make the space look properly harmonious we plan to remove these. We believe that removing the pews will bring to life the beautiful Norman and Early English architecture of the Nave by making it more visible. New Seats. We already have 30 upholstered wooden chairs presented to the church by notable parishioners, and we will be able to keep and use these. They are smart and comfortable and are an important part of the church endowment. They will be supplemented by comfortable wooden chairs with moulded seats, which can be arranged to suit the event. There is an example of this chair at the back of the church. please try it and let us know what you think. Floor. The under-floor heating will work most efficiently through a stone floor. We plan to restore the current stone aisles to remove broken and uneven slabs and concrete. The pews will be remembered by laying stone slabs in a rectangular pattern to match the positions that the pews were in. The result of these changes will be that the church can be made warm quickly, and the comfortable seating can be laid out, to suit each service and event in the church. Mike Deeming, Malcolm Green, Andrew Gregory Richard Hood, Niels Kraunsoe, David Parkhouse. 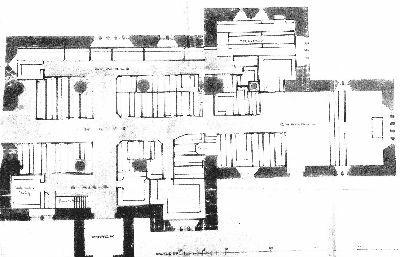 Fig 1 Plan of Church in 1912. Changes to the Altar and East Window. These replaced an earlier window, reredos and altar. We do not have any details of the content of the window , except that it was removed with consent. The new window was endowed by Harold Boulton, who lived at West Lodge, in Iwerne Minster parish, in memory of his mother and his twin sister. We have better information on the old reredos. It was erected in 1899 by Helen Boulton in memory of her father, Captain Joseph Boulton, who died in 1874. It was removed with the consent of Harold Boulton. When Penny Marsh’s father, Rex Wells, became Vicar in 1951 it was still in the carriage house of the Old Vicarage. It became our crib, and it is still in use today. You can see it on either side of the altar in the photograph below (Photograph 1). The altar is smaller, and the reredos does not rise above the base of the window. The design in the window is not visible, but the bottom of the window panels are blanked off. The pulpit and lectern are clearly in their current positions., as are the two rows of choir stalls. One of the major changes to the way worship is conducted has occurred during the last 50 years or so. At the beginning of this period the priest faced the altar during services. Since then it has become normal to include the congregation in the service, by moving the altar nearer to the congregation, and for the priest to face them. In our church the high altar sits on its own step and is a massive oak table. It is impossible to move it forward, and so in the year 2000, an extension was added to the lower altar step, so that a smaller moveable altar table could be used, and the priest could stand behind it and face the congregation. We still use this arrangement. To allow this to happen the altar rail designed by Giles Gilbert Scott, which was straight, was altered to the angled rail which we have today. This was done by Julian Twist who was a cabinet maker living in the village at the time. The trend toward bringing the celebration closer to the congregation continues and removal of the pews will allow us to celebrate with the altar surrounded by the congregation in the nave, if we wish to do so. There have been changes to every area of the church, which have allowed new traditions to establish, and new endowments to be made. Fig 2. Giles Gilbert Scott Drawing of the Changes to the Chancel 1920. Sitting in the Nave, particularly near the central aisle on the North side, gives the best view of the important heritage which is the east window and reredos, and of ceremonies and performances which take place in the chancel. The view is, however, compromised and cluttered by furniture at the chancel arch, and in the chancel. On the south side, the pulpit completely blocks this view, and only the people sitting at the ends of the rows can see beyond the pulpit. Quite apart from the need for space, described in previous articles, this magnificent tableau deserves to be framed by the plain and simple chancel arch and be as breathtaking as the architect and artist intended. The pulpit has stood in its present spot as long as we have documentation. The 1880 plan showed that the Victorians planned to skew it to the south, but this was not done. Pevsner (1) considered that it was Jacobean, but we now recognise that it may have carved panels of that age, but these have been reset in later, probably Victorian, woodwork. It is unnecessarily high. With the congregation seated, and the preacher standing in the pulpit, it could be considerably lower, visibility would still be good, and it would be less intimidating for the congregation.. This would still not improve the sightlines to the altar for the congregation sitting in the south aisle. However, if the pulpit were moved south, to a position at the base of the pillar of the south arcade, between the chancel arch and the doorway to the Wolverton chapel, the chancel arch and altar would be visible to much of the congregation sitting on the south side. The Lectern has appeared in its present position on all the plans which we have. However, on the 1880 plan there is no chancel rail and so the lectern is easier to get to and to read from. At present it is difficult to get to, and, for many people it is at the wrong height to read from. It is also too high for most people who are reading to be seen over the top of it. If it were moved to balance the pulpit, to be in front of the arcade pillar to the north, we could then position it so the height allowed readers to be seen fully. 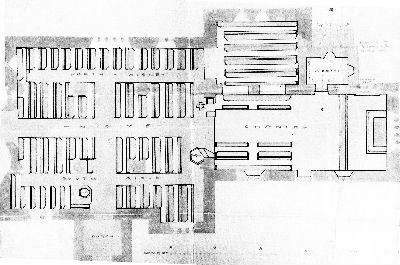 The 1880 plan shows only one rank of choir stalls. It is not clear when the rear rank was added, but the front stalls were moved forward, and this made the aisle in the chancel narrow. If the rear stalls were removed again and the front ones moved back to replace them, we would create space at the front of the chancel. This would allow us to celebrate communion from this position, using the small altar table. It would also provide more space for weddings and large village events such as plays and concerts. These changes would release the chancel arch from clutter and allow it to frame the altar and east window. However, it would accentuate the pronounced change of level between the nave and chancel, which currently has two rather narrow steps in the centre. In order to soften this visually, to provide access to the pulpit and lectern from the nave, and to act as a kneeling step when communion is celebrated in this position, we propose that the step be built right across between pulpit and lectern. What will we Achieve by These Changes? The reordering of the church is not only about physical comfort. It is very important that people who attend services and events in church are able to see and hear all that is going on. As the church is arranged at present, it is impossible for a large number, particularly on the south side, to see anything which happens in the chancel. All these proposals will ensure that it is possible for people to see and hear comfortably. We are also privileged to have within the church magnificent architecture, and some fine craft work. The proposals will accentuate this beauty work and allow the heritage of the building to have an even greater impact on events held within. Malcolm Green, Mike Deeming, Niels Kraunsoe, Andrew Gregory, David Parkhouse, Richard Hood. Pevsner, N. (1972) Architectural Guides to Buildings of England. Dorset. The articles in the last four issues of Valley Views have described the changes which have taken place in the church since 1880, and have started to explore the alterations required to ensure that the building continues to satisfy the needs of the communities who use it, particularly the community which worships there. This article explores the history of the stained glass window in the north wall, discusses the position of the font, and provides the details of the pulpit, which were omitted from the June article. St. John is the subject of this window. Susan Smith, of Dorset Historic Churches Trust, interpreted the five panels for us. The left hand one shows Christ at the Sea of Galilee asking James and Andrew to follow him. The next one shows Christ on the cross, asking John to look after his mother. The centre shows St. John, with his symbol, an Eagle. The two panels on the right show St. John being boiled in oil at the Latin Gate in Rome, by order of Emperor Domitian. As with Daniel in the fiery furnace, he did not die, and as a result was exiled to Patmos. The panel shows Roman soldiers expelling him. Unfortunately, the black paint, which provides the detail in the window, has eroded to the point that the window has lost its vibrancy and has lost the details of the dedication, which are usually on the small ochre coloured panels along the base. To the Honour of God, and the Pious Memory of a Beloved Father, Edward Henly Acton, Priest. According to our role of Priests in church, John Acton, son of Edward, was our priest from 16th August 1860 until 12th April 1899, and was succeeded by his son, also Edward. Whilst we do not have a definitive date for the window, we can assume it was made and installed between 1875 and 1899. We plan to investigate the restoration of the window, but at a later date. The article in March, which contained the plans of the church prior to 1880, showed that the font was not in its current position prior to the Victorian reordering. Since then it has been positioned so that it is seen first on entering the church. It signifies baptism, the start of the Christian journey through life. Baptism has always been an important family occasion. It is also important that the setting for the ceremony within the church enhances this sense of being a happy family occasion. The font, in its current position, is hemmed in by pews and pillars, and it is difficult for the family members to see and be part of the ceremony, and even more difficult for the rest of the congregation. We propose to move the font so that it is centred in front of the niche in the north wall, opposite the door, and is framed by the window and the arches of the north arcade of pillars. It will thus be the first thing which you see as you enter the church. This proposal has met with concern from several members of the congregation, and we are mindful of this as we make the proposal. We never the less believe that the position proposed will enhance this important ceremony of Christian life. proposal for the Chancel Arch, it is reprised here. ‘ The pulpit has stood in its present spot as long as we have documentation. The 1880 plan shows that the Victorians planned to skew it to the south, but this was not done. Pevsner (1) considered that it was Jacobean, but we now recognise that, though it may have carved panels of that age, these have been reset in later, probably Victorian times. The Pulpit is unnecessarily high. With the congregation seated, and the preacher standing in the pulpit, it could be considerably lower: sightlines would still be good, and it would be less intimidating for the congregation. However, this would still not improve the sightlines to the altar for the congregation sitting in the south aisle. The pulpit should be moved south, to a position at the base of the pillar of the south arcade, between the chancel arch and the doorway to the Wolverton chapel. The chancel arch and altar would then be visible to much of the congregation sitting on the south side’. We believe that moving the pulpit south and the lectern north, together with removing the chancel rail and moving the front choir stalls back, will allow the valuable heritage of the east end of the church to be better brought to life. This will also enable us to hold services which are more inclusive of the congregation, by moving the small altar table to the front of the chancel, and will permit the wonderful simplicity of the Norman and Early English architecture to be better appreciated. We have wrestled with these changes for quite a few years now, and appreciate how hard it is to visualise the church when the changes have been accomplished. Please visit the church and use this and the previous articles to help appreciate the building as it could become. Please ask any of us if we can help you. The next article will tie all the proposals together into - what we hope - is a coherent whole- and provide the groundwork for our fundraising proposal.